1, Easily upload your design on the product and buy it. 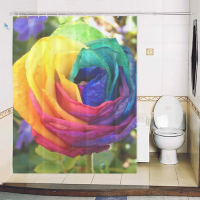 2, This shower curtain is made of durable woven polyester, please do not compare our product with other plastic sheet. Warranty: Two years no hassle! 4, With metal weight line at the bottom, so the curtain has better smooth-look when hanging. 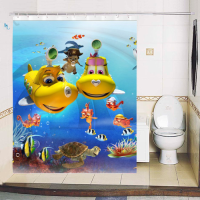 5, With plastic hooks and grommets free of charge. Question: How long is the delivery? 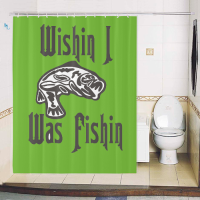 Question: Can I use my own design, and the printing is as big as the curtain? 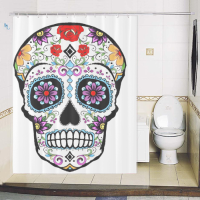 Question: Cool photo, I like this design, but I don't want a white shower curtain with it, can I change it to a black one? do you think it will be more cool? 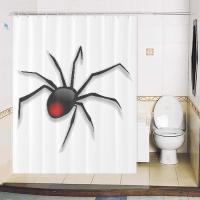 Can you send a preview of the black shower curtain with this photo? my mail is franfashion.doo@gamily.com. thanks! It is so funny. I love it very much. Fit the space perfectly and looks nice. Have received several compliments. So glad I found it. 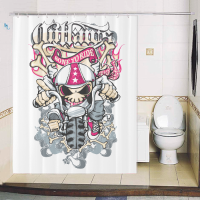 My girl like the shower curtain very much. She like to open it all time. The quality is OK but it took too much time. It is great quality. It's the perfect size to show off all the details of my photograph! it looks exactly like my photograph! It's perfect! !Love, love, love!!! So so so beautiful. The bath room is so nice because of the shower curtain. The print is good quality. Perfect! I was surprised at the quality of the print. The image is sharp . Would definitely buy from them again. Love,love,love them! Finest quality, worth every penny!! Better than even described!